Earlier this month, Los Angeles-based SVnetwork (www.svnetwork.com) announced the launch of a new, Internet advertising network. The firm was was formerly known as SocialVibe, and is backed by Redpoint Ventures, Jafco Ventures, and Pinnacle Ventures. We recently spoke with CEO Jay Samit, as we wanted to understand what the company was up to nowadays, why it decided to change its name, and how it sees itself fitting into the Internet advertising industry. Jay, thanks for the time. Let's talk about the evolution from SocialVibe to SVnetwork--what's SVnetwork all about? Jay Samit: What we realized was that advertising, for the most part, isn't working for brands. As I like to say, a banner never made anyone cry--it doesn't tell a story, click-through-rates are absolutely abysmal, and there's no reason it should be that way. When we started looking into why, it's because most people are busy doing something else online, which is why they are online, and most advertising wants to interrupt that. Ads require you to click away from what you're doing. Our model is different. What does motivate people, are things that satisfy their passions, and which they want to give up some of their time. For people who care about a specific cause or charity, we've started a place where if you pay attention to a brand message and follow and advertiser, we'll donate to a charity of your choice. We now reach 30 million uniques a month, who think that it's a good exchange for their time, and their cause gets support. We've also expanded to people motivated by other things--such as virtual currency in online games, virtual clothes for your online avatar, and different levels for mobile applications, etc., etc.,, which now brings it up to 80 to 100 million unique users a month. It's funny, because it's no different than how TV or radio started. Jay Samit: The rebranding was really because SocialVibe was specific to people motivated by charity. But, as we see across the Internet, there are other motivations besides charity, and people who we can reach using network on social media. What is great about going after those people in social media, is that the audience is hyperconnected. If a message resonates from an advertiser, those people are more likely than not to share that message across their social graph. With some of our campaigns, we have a more than 100 percent response rate from people who have received, enjoyed, and interacted with a brand, because it goes viral. As that happens more and more, we're better able to match interested people in a mood to get that message. What social media sites do you connect with? 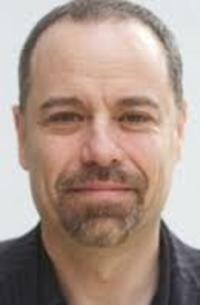 Jay Samit: We deal with people on Facebook, MySpace, and Twitter, and have a huge number of social games within those communities and using us directly. We're leading monetization for Zynga with Farmville, Mafia Wars, and Petville. We're reaching people not just in the U.S., but all over the world. We've got both broad reach and deep integration. People are really paying attention and involved--they'll spend something like 40 seconds with one of our ads, which is an incredibly long period of time. Facebook seems to have been moving away from social applications, how has that affected how you approach that market? Jay Samit: We're just continuing to expand, and to reach people in more ways. It comes down to the same premise, which is figuring out what the community is passionate about, and exchanging time with the sponsor to make it possible to support your passion. For example, if I lived in a small town somewhere, how would I get Kraft or Toyota or Coke to support my dog shelter? That's something SocialVibe does really well. We're helping 3,000 different charities at the present, from the big ones to little ones. On the other end of the spectrum, if you really wanted to buy that extra tractor or farm on Farmville, you could spend many hours playing a game to do that--or you just can interact with one of our brand advertisers. How has that worked for the brands? Jay Samit: The reception has been phenomenal. When you look at brand advertising as a whole, there is $120 billion spent on brand advertising a year, but less than 3 percent of that is online. But, if you look at how much time is spent online, there's a big disconnect. The reason why, is because people weren't interacting with their ads. We count amount our advertisers Microsoft, Procter and Gamble, Kraft, Disney, Universal, Sony--some of the biggest brands out there. They are the car guys, CPG guys, and so forth, because our results have been phenomenal. We've got a great repeat rate with ad campaigns and clients, which is why we're growing so fast. It looks like your model is different--so how do you work with these firms, if it's not things like CPM, etc.? Jay Samit: In a world with billions and billions of unsold impressions, and click rates of less than one percent, we have 88 percent of people who see our ads engage, spending 40 seconds interacting with us. People are participating, and really getting involved with the brand. Because of that, we use a per-engagement model. Plus, if it does go viral, we don't penalize our advertisers for going viral, and that earned media can be almost limitless. We have some campaigns exceeding 100 percent engagement, meaning we're reaching more people than we did with our original media buy.